A terrifying past imprisoned Maxine Bartlett all her adult life, shackling her with fear anytime a man even touched her. In a spontaneous weekend, she unintentionally elopes with an unlikely groom. After a magical wedding night filled with love and passion, “Maxi” finally discards her dreadful chains. She doesn’t know that her new husband has turned his back on God. Worried over how the world might see the completely unexpected – and some would certainly say inappropriate – marriage, in his pride he promises Maxine a quiet annulment. Unwilling to let their marriage disappear as if it never happened, Maxine refuses to cooperate. Seeking God’s will, she moves in with him and informs him that when he decides to act like her husband again, he will find his loving wife waiting for him right there in their home. As the days stretch into weeks, the newlyweds slowly begin to trust and even love each other. Then, just as they begin to live the “happily ever after” love story that neither of them ever dreamed could come true, a sudden and nightmarish catastrophe strikes that could wreck everything. Will her husband realize that he must trust God once more? Can he find peace and strength enough to carry them through the flames? Come back tomorrow for a peak at the prologue! This entry was posted in 3. Emerald Fire, Novels and tagged 3. 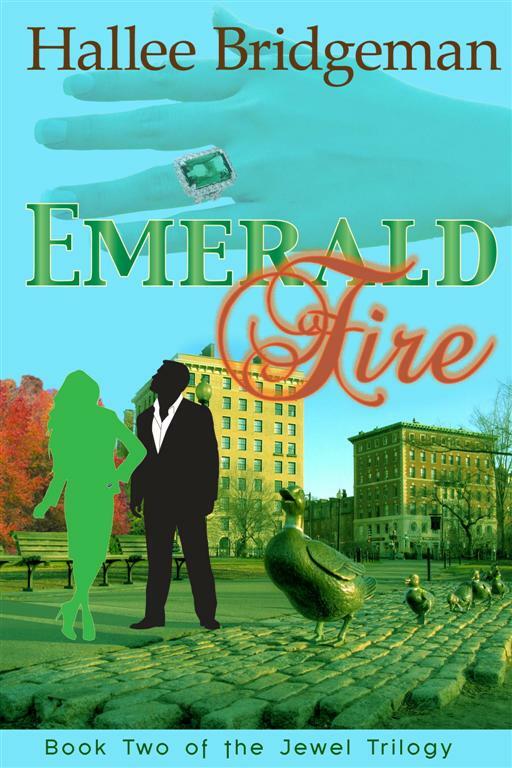 Emerald Fire, blurb, cover, Jewel Trilogy. Bookmark the permalink. Hallee, this sounds awesome! I’m even more excited to read it now!